The Cascadia Association Football Federation was proud to represent the Cascadia bioregion and all of North America for the 2018 CONIFA World Cup in London, and to represent for friendlies and competitions around the world. Cascadia is a unique coastal bioregion that defines the Pacific Northwest of the United States and Canada, as defined through the watersheds of the Fraser and Columbia watersheds. 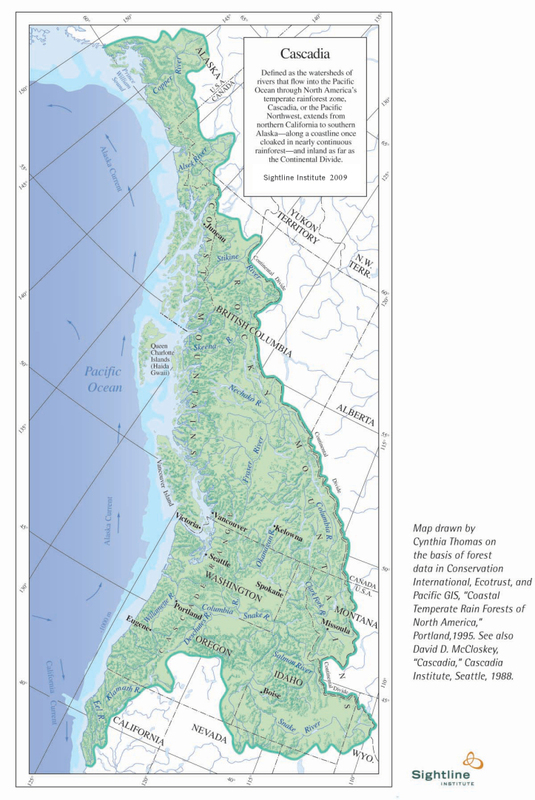 It incorporates all of or parts of southern Alaska, British Columbia, Washington, Oregon, Idaho, Montana, and Northern California. More than a bioregion, Cascadia is also a positive and inclusive, place based inter-dependence, and independence movement to break down boundaries and borders that are arbitrary or negative; shift our actions and impacts locally; build models we can share for the rest of the world; and build a bioregional community that fosters a culture rooted in a love of place. Any individual, community or group can be a part of this movement if they help our region become more sustainable, autonomous or resilient, or are working to help improve the livelihood of those living here. CAFF is an entirely supporter driven, volunteer and grassroots organization dedicated to fielding a 23 person team at the 2018 CONIFA world cup. CONIFA - the Confederation of Independent Football Associations, is the largest confederation for football associations outside of FIFA, and specifically serves cultural and autonomous regions not recognized by the United Nations, to use the sport of football to allow these regions to be recognized at an international level of play. To help us fundraise - we have launched an open pre-order on our 2018 Cascadia Kits. Every purchase goes to cover expenses and ensure we can field the best team that we can. Sign up with your email address to receive news and updates about the Cascadia team.